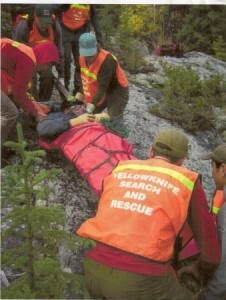 Yellowknife Search and Rescue (YKSAR) is a ground search and rescue association comprised of un-paid volunteers – all active or interested in search and rescue, disaster aid, emergency medicine and awareness education. We are a self supporting, non-profit group interested in all aspects of search and rescue – the humanitarian cause of saving lives – throughout Yellowknife and the surrounding areas. We are actively working towards the development of improved coordination and communications among federal, provincial, local and other volunteer groups. Our primary goal is to aid in the implementation of a total integrated emergency response, rescue and recovery system. Response to persons in distress has long been an honorable, charitable tradition. 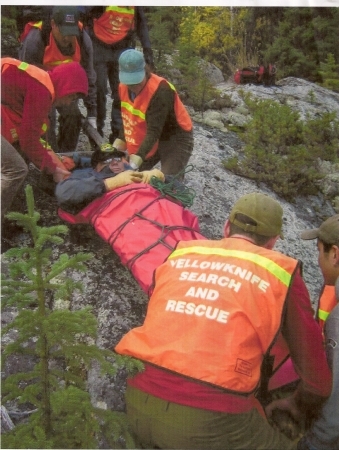 The professionals in search and rescue have carried on this tradition of helping others by dedicating time, information, skills, equipment and funding to the relief of suffering.